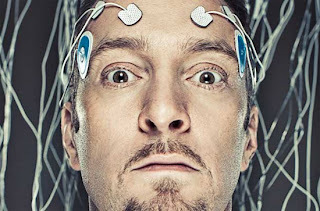 The last of Derren Brown's experiments was rather sedate and probably the least impressive of them all, but it was still good fun and had its heart in the right place. In "The Secret Of Luck", Derren sent TV's Dawn Porter on a mission to plant a lie in the Yorkshire village of Todmorden, by pretending to be filming a documentary about luck and wanting to hear from residents about an untrue myth that a local statue of a dog brings good luck to those who rub it. Over three months, Dawn's barefaced lie started to catch on thanks to gossiping locals and an article in the local newspaper, leading to hidden cameras catching people visiting said dog statue and giving it a pat for themselves. But more interesting than seeing if a lie could spread in a small community well-known for a history of weirdness and superstition, was the explanation for luck itself. What makes lucky people lucky? Is there anything magical happening, or is it all a state of mind? One downside of this episode was how the answer was blatantly obvious to any rational viewer. People make their own luck, usually because they're a personality type that takes more chances and grabs every opportunities. To illustrate this in an amusing way, Derren set about presenting dour butcher Wayne with various chances to be "lucky" (posting a winning scratchcard through his letterbox, giving him the chance to earn £20 for participating in market research on the street, laying a £50 note on the ground for him to find and pick up, and finally by driving past him with a billboard asking him to call a number to claim a prize). Hilariously, only the billboard managed to grab the blinkered Wayne's attention... eventually! Contrastingly, the owner of a local pub leaped at the chance to help a man with a flat tyre, who turned out to be comedian Jason Manford. She was repaid by a money-spinning free gig from Jason at her pub, which became national news (in fact, I remember reading about this, so it was funny to see it explained as part of a Derren Brown stunt). "The Secret Of Luck" was definitely a pleasant way to spend an hour, but it lacked a certain bite because it wasn't tackling anything all that mysterious to me. Despite that issue, the conclusion at the Todmorden village hall was wonderfully effective—with Derren offering a villager the chance to win five times their stake in a game of luck with the roll of a die. The fact Wayne the "unlucky" butcher was chosen and staked £1,000 (his life's savings) gave the event a really tense, dramatic edge. Watching Wayne roll for a four on the third roll of a die was far more compelling than ITV's Red Or Black gameshow, which gave away £1 million on a 50/50 chance. That just goes to show how smaller stakes can lead to bigger drama if the story and people are more emotionally engaging. I won't spoil if Wayne managed to change his luck, you'll have to watch the episode for yourself. The Experiments has been a good four-part series, which was certainly more successful than The Events awhile back. Only "The Assassin" and "The Guilt Trip" really worked for me, but "The Gameshow" and "The Secret Of Luck" both had their moments. It was certainly worthy of your time every Friday. 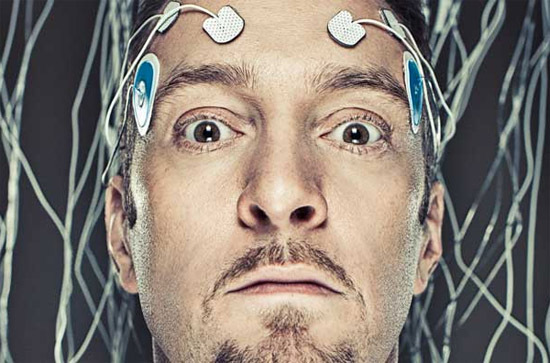 And while Derren Brown is unlikely to ever recapture his early glories (his brilliant Trick Of The Mind series, the "Russian Roulette" live stunt), his move into a kind of quasi-documentary territory where he tackles various little projects can still entertain, fascinate, inform and delight.